Once she realized what was happening, she couldn't stop smiling. One day, the husky had a home and a family. 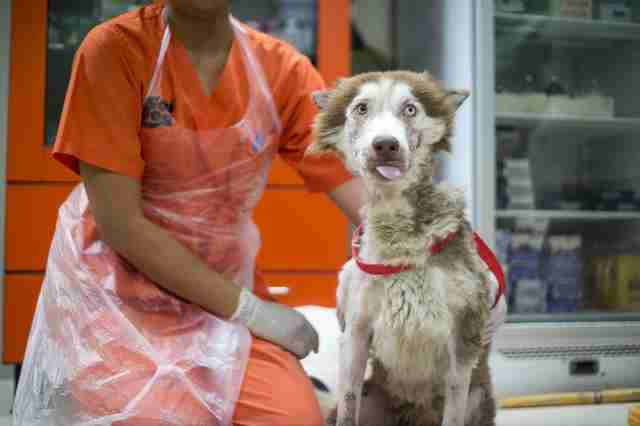 The next day, she didn’t — her owner simply dumped her on the streets in Phuket, Thailand, leaving the 1-year-old husky to fend for herself. In January, the team at Soi Dog Foundation, an organization that rescues dogs and cats in Thailand, got a call from a concerned member of the public, who explained that an abandoned husky had been wandering around in their neighborhood. 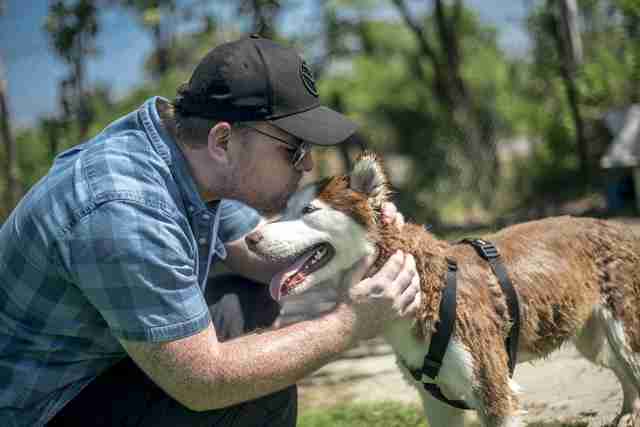 Sadly, this wasn’t the first time the Soi Dog team had to rescue a husky — which is a popular breed in Thailand. 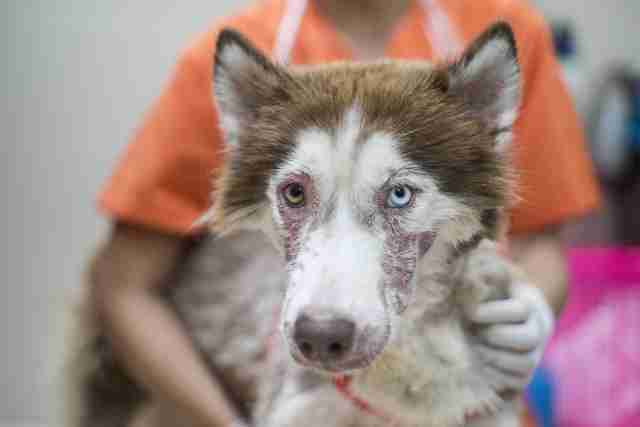 The husky, whom rescuers named Nessie, had a long list of ailments — anemia, crusty eyes and wounds around her legs. 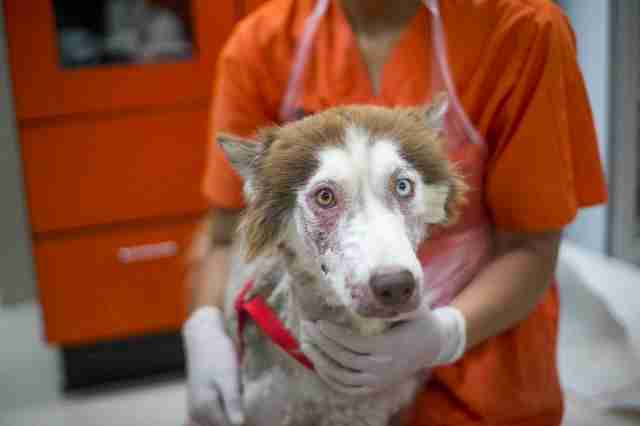 She also had both demodectic and sarcoptic mange, which had caused her to lose a lot of fur. “She had clearly been neglected for a long time by her former owner,” Henry said. Even though she was in terrible shape, Nessie perked up when people approached her. After taking Nessie into its care, the rescue team immediately started treating her ailments. Within two weeks, she started to look better, and in two months, she’d fully recovered. But it only took about a couple days after her arrival for Nessie to start “smiling,” according to Henry. “She realized she was being helped,” she said. In April, Nessie's life changed in another positive way — she was flown to the U.S. and went into foster care through a rescue group called The Devoted Barn. Everyone is hoping that Nessie, who’s now been renamed Matsi, will find a home soon — but she needs the right one. Huskies are active dogs with high energy levels and prey drives, and they can easily get bored without proper stimulation, Henry explained. 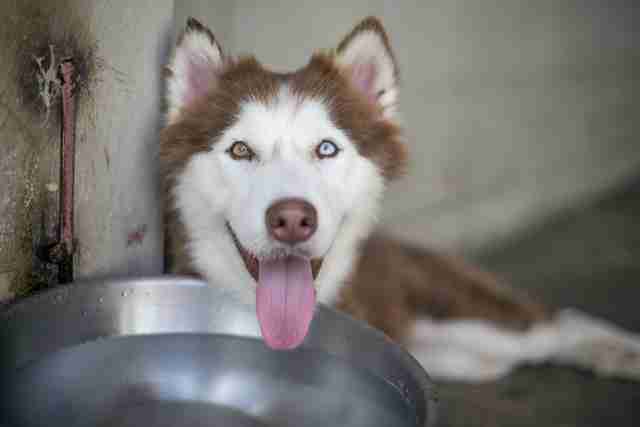 Unfortunately, the U.S. has had a similar problem with people abandoning huskies — people often get huskies without understanding the complex needs of these dogs, and end up dumping them when they become too much to handle. And since the release of the popular TV series “Game of Thrones,” which featured husky-like dogs as the show’s direwolves, the problem has gotten even worse. But things can only get better for Matsi, and Henry is sure that she’ll make her new owner extremely happy. If you’re interested in adopting Matsi, contact The Devoted Barn. You can also help more dogs in Thailand by making a donation to Soi Dog Foundation.